Richpanel | Put your data to work! Richpanel is a Customer Data and Experience Platform that helps teams to harness their data and deliver richer, more personalized customer experiences. Businesses today have different clouds for marketing, customer service, sales and other business groups; with each holding information about just one area of the company. Richpanel builds bridges between different clouds to create a single 360 degree view of the customer. 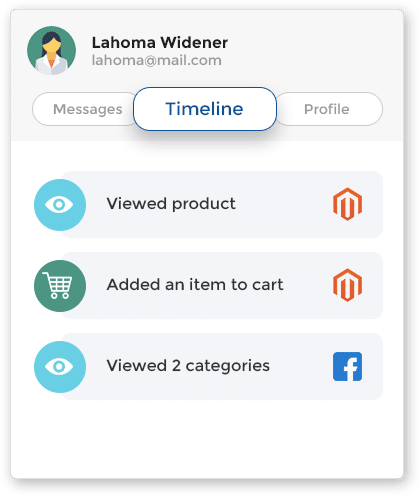 By pulling in customer data from multiple sources, including websites, social media, and internal data, Richpanel builds a comprehensive profile for each customer that employees throughout the organization can access to provide a great experience no matter how they interact with the customer. Harness the power of AI to understand customer intent and predict behaviors. 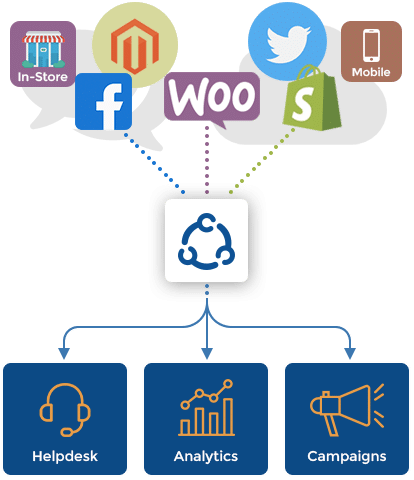 Activate intelligence across your apps to provide intuitive, personalized experiences across web, social, in-store and contact center. Security is ground zero for everything we do. We take the responsibility of managing your data seriously. Data is encrypted at rest and in transit.